New Jersey will be the latest state to pursue a $15 minimum wage after Gov. Phil Murphy signed a bill Monday afternoon to increase the wage to $15 an hour for most workers by 2024. On Feb. 4, Gov. Phil Murphy signs legislation increasing the minimum wage to $15 an hour by 2024 at the Make the Road NJ headquarters in Elizabeth. “Today, we start our way on this path. Today, we make our economy fairer and stronger,” Murphy said, flanked by Assembly Speaker Craig Coughlin, D-19th District, and Senate President Stephen Sweeney, D-3rd District, at the crowded multipurpose room of the Make the Road NJ headquarters in Elizabeth. The ceremony also drew out the attendance of several labor unions and activists, state lawmakers, senior Murphy cabinet officials and members of the state’s Congressional delegation. Starting July 1, the minimum wage for most workers will rise from $8.85 to $10 an hour, gradually phasing to $15 an hour by 2024. Tipped workers will see their wage increase from $2.13 to $5.13 an hour. Seasonal employees and those working at a business with less than five workers will see their hourly pay reach $15 an hour by 2026, and farmers wages will top out at $12.50. The minimum wage will further increase beyond the $15 due to constitutional mandates which voters approved several years ago. Under that same provision, the minimum wage will increase from $8.60 an hour in 2018 to $8.85 an hour in 2019. 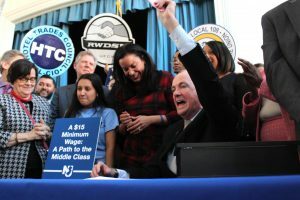 “Today’s victory will put nearly 1 million New Jersey workers on a path to the middle-class and allows greater choices and mobility for workers,” New Jersey Working Families Executive Director Analilia Mejia said in a statement. The new law drew out the condemnation of business advocates and Republican lawmakers, who argued the increase will make the state more unaffordable. 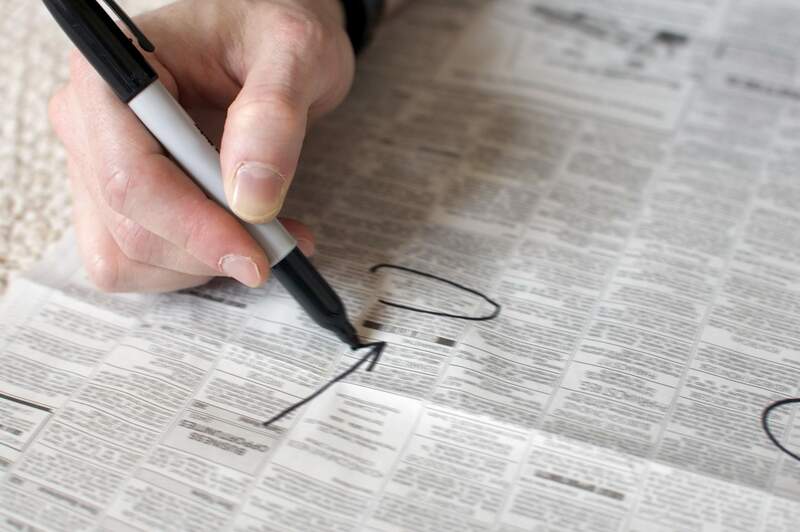 “These job creators have told us that this action will increase their labor costs both in the short and long term; impacting the slim profit margins they already face given their need to contend with the highest taxes and worst business climate in the nation,” Michele Siekerka, president and CEO of the New Jersey Business and Industry Association, said in a statement Monday.